The 2017 Four Seasons Maldives Surfing Champions Trophy has got off to a flying start with Australian aerial innovator Taj Burrow confirming his return to defend his title at the seventh annual event. An unflappable tuberider, Burrow was the 1998 WCT Rookie of the Year. His rapid ascent up the standings saw him ranked world number #2 in 1999, a position he achieved again in 2007. Between 1999 and 2013 he secured 12 World titles as well as a number of records, including becoming the youngest surfer to ever win a national title. Having only just retired from the elite WSL Championship Tour (CT) prior to last year’s contest, Burrow was always going to be tough to beat. Can anyone rise to the challenge this year? The Surfing Champions Trophy determines heat times based on age and tests skill across three divisions: single-fin, twin-fin, and thruster. Places are by invitation-only to six world champions in a battle for inner-circle kudos and a USD 25,000 prize pot. 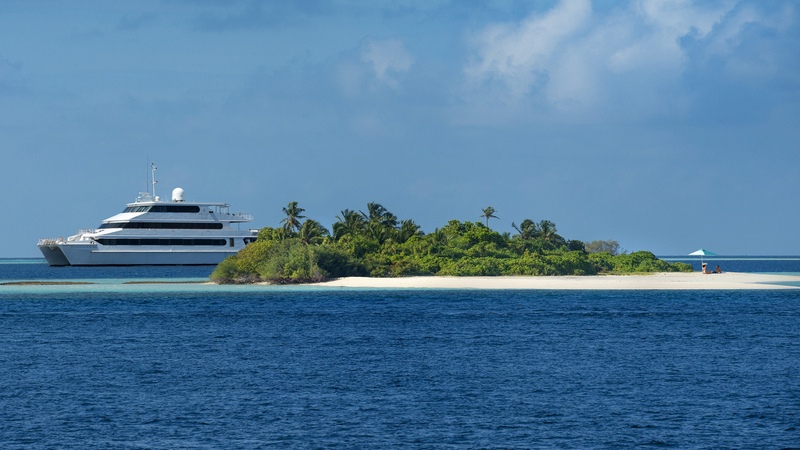 Also returning to the event is Four Seasons Explorer – the Maldives’ ultimate surf vessel. Following a full interior refurbishment, the 39 metre / 128 foot catamaran will proudly be showcasing sleek new finishes and stylish soft furnishings across all three decks while hosting the contest. Fans can get up close to all of the action with onboard VIP passes, then continue the “surf tour” experience with shoulder-rubbing events back at Four Seasons Resort Kuda Huraa – the homeport for the event’s competitors, judges and Tropicsurf partners. And with Kuda Huraa recently unveiling its new all-villa water accommodations, Surfing Champions Trophy guests will have the opportunity to experience the country’s ultimate lagoon sanctuaries during their stay, with features ranging from water’s edge living and dining pavilions to freestanding tubs and overwater nets, and pools directly accessible from the bedroom. Limited day passes will be available at a fee for non-package guests and members of the public wishing to view the event from Four Seasons Explorer. Call + 960 66 00 888 for enquiries and rates.